The undergraduate program in Family and Child Sciences introduces students to applied developmental sciences. We emphasize human development and family life in different settings, such as neighborhoods and communities. Our dynamic curriculum prepares students for experiences in real settings. Such areas involve human service organizations, education, childcare settings, and government agencies. Select one course offered by the College of Human Sciences, must come from outside this major. As part of the department’s professional development sequence, all students must complete both FAD 4932 (Pre-Professional Development) and FAD 4805 (Practicum in FCS). FAD 4932 must be completed prior to enrolling in FAD 4805. Students should enroll in FAD 4932 in the semester immediately before the semester in which FAD 4805 is to be completed. Students who fail to earn a grade of C- or better in FAD 4932 can attempt to successfully complete this course ONLY one additional time. Failure to complete FAD 4932 with the required minimum passing grade of C- on a 2nd attempt will result in the student not meeting the requirements for the degree in Family and Child Sciences. Course Registration for FAD 4805 is handled within the Department of Family and Child Sciences (SAN 225). To register, students must bring a copy of your (1) current enrollment schedule, (2) unofficial transcripts, and (3) security badge (verification of passing background check). Note: FAD 4805 requires 150 hours of service at a placement site. The registration form for FAD 4805 is located in Sandels 225. Some students desire specialized experience in addition to the required and elective courses. Directed Individual Study or “DIS” (CHD / FAD 4905) provides such experience. Students must obtain a faculty supervisor within FCS and complete the necessary form. In collaboration with the faculty member, students work out a rationale, objectives, and method of evaluation. Once the form is completed and signed by both the faculty and student it needs to be approved by the Department Chair before the student can be enrolled in the DIS course. Minor/concentration must be approved by a department advisor. It is strongly recommended that students take CHD 2220 before taking CHD 3243 and FAD 3343. 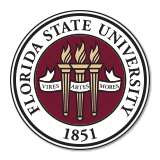 Nine (9) of the twelve (12) credits (3 out of the 4 courses) must be completed at Florida State University in the Family and Child Sciences Department.